Roger YOFF - $5.95 : Your Own Font Shop, The shop with unique handwriting fonts. 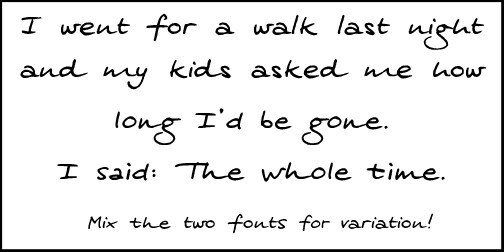 Roger and Roger 2 are two variations of the same handwriting - to combine for a more realistic handwriting font. I really love the g's in this font! Extensive language support - and if you miss any character (hopefully everything is in anyway) just let me know and I'll put it in!